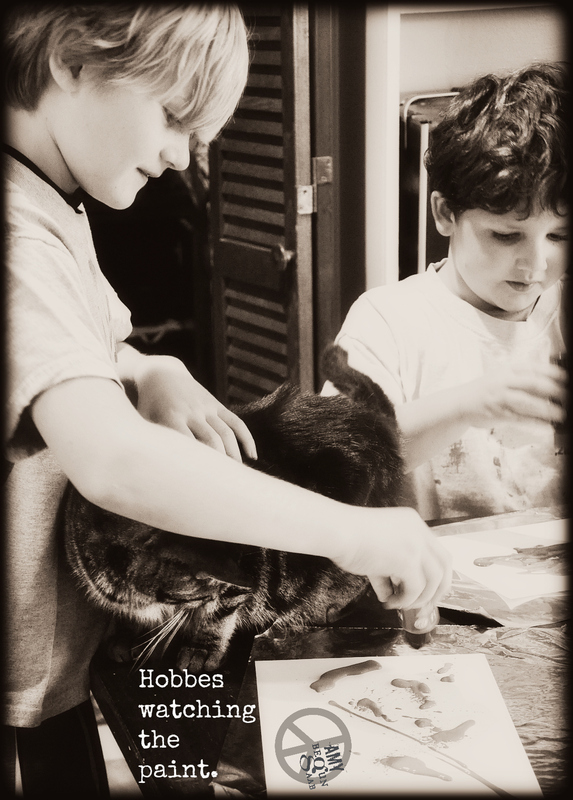 my art class…three boys, one girl & one cat named Hobbes. my Wednesday art class. 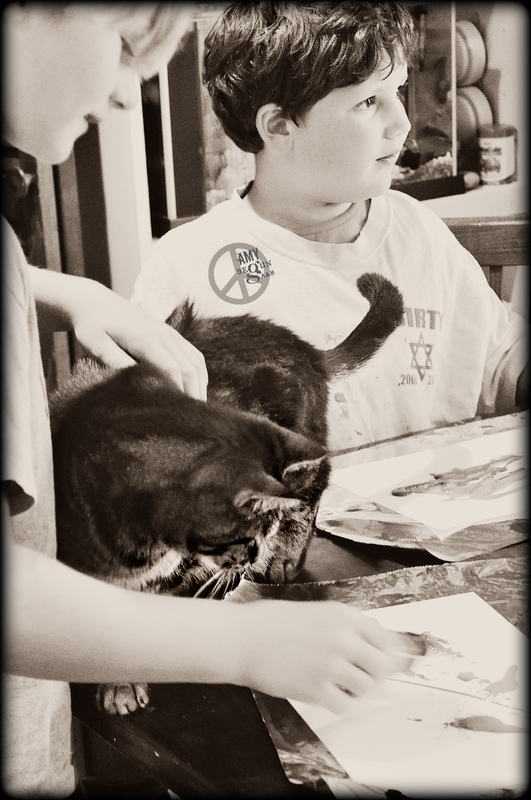 one is trying to squirt grey paint onto his paper. Hobbes watched the whole thing. With a name like Hobbes, how could he not appreciate art? Hee hee. Aww, I love Hobbes. Such a curious kitty. And I love how the kids are so calm and accepting around him. 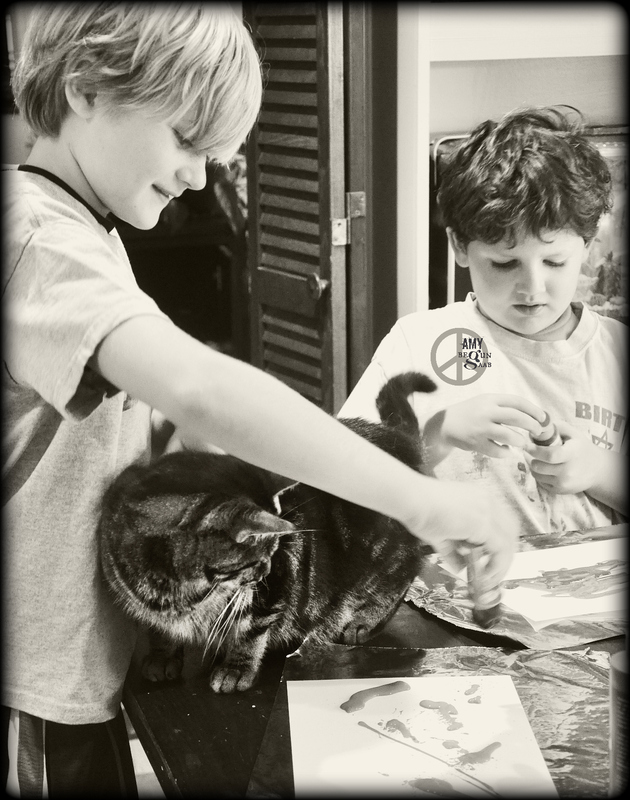 The kids come to art, the first thing out of their mouths, “where is Hobbes?” Thank you Reggie!